Clinical training develops one as a responsive ,confident practitioner and provides one with a through understanding of the practices so that one should have the confidence in his/her knowledge and ability to facilitate change where it is needed. It develops your communication skill that will enhance excellence in practice. Clinical training lays the foundation for your continuing personal and professional development throughout the career. 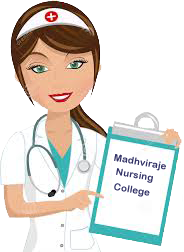 Practice sites are located at Civil Hospital Morena various disciplines as per the requirements of the INDIAN NURSING COUNCIL (INC, NEW DELHI). Adopted by participation in various national programmes such as Family planning camps, immunization and Pulse POLIO etc.